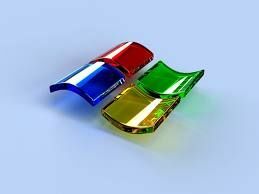 According to many rumors on the Net, there will be two versions of Windows 8: 64-bit and 32-bit (no longer a 128-bit version). The 64-bit version of Windows will have an interface codenamed Wind that will be fully GPU-based: each widget, each pixel will be rendered using a D3D11 (and D3D10?) capable graphics card. For entry-level systems, Microsoft has planned a 32-bit version that won’t use the GPU for drawing the interface. GPU-Based Virus Scanner Soon Available? noooo i wanted a 128-bit !!!!!!! Probably DX11 because it’ll use DirectCompute. Does it makes sense? Because 128 bits is seriously stupid. What the need to it? Absolutely none for basically doubling the transistor count. This rumor was so supid from start. I had no idea people were even considering 128 bit, let alone seriously. I think commerical (or even virtual) RAM should catch up to being a at least a few terabytes (if that’ll ever happen) before we even start considering something else so bold. Compiz is a window manager for Linux that’s compositing windows redirected as OpenGL textures. Since Vista, Windows does exactly the same thing with DWM using Direct3D, they just don’t expose fancy effects. At the application level, GPU rendering is far from being common and most graphics toolkits still use the CPU. do we really want a fully GPU based GUI? with the way it is now having, GPU acceleration, allows the GPU to kickin when its needed..
Not only will it be able to customize the desktop according to user behavior and adapt to users way of using the PC, It will also give a complete 3D view of the objects on desktop.. Finally, I’ve been waiting for this for a long time. Compiz does not render the windows on the GPU, it just maps the finished rendered windows on quads and do fancy transformations, something like Aero but far more advanced. Even a low end GPU got more processing power than high end CPUs today, and using the GPU for OS rendering will reduce the CPU load substantially (especially on low end systems) and just slightly increase the load on the GPU. If you let it be done by the CPU it’s going to take longer and consume more power. Using a GPU for graphical tasks is faster and more efficient. The design is more made for doing that sort of thing. Most non-games/graphical applications won’t be a very high load for the graphic card. Thus it won’t throttle far it and won’t consume a lot more. Maybe a little more but that depends on the calculations you want to do. I’ve been saying this should be done for over ten years now. They’re finally starting to do it. I would like to see a new interface, revolutionary. The square of the monitor has influenced graphical interfaces. Everywhere Windows only. Something like those used in SF movies. Graphic possibilities allow this now. No! I want 256-bit ’cause it is a minimum for today system! I mean old good 256-bit memory bus of videoboard and system memory! Cutting edge tech is a 320 and 512-bit! no kidding! Windows and the like (linux, mac etc) are all dated. Windows in each version add programming layers on top of the previous ergo adding much more complexity and incoherence in the code base resulting to cpu strain in order to provide a tiny bit more functionality. Windows 7 uses the gpu but with an overhead… For example: how many movies can you open simultaneously until the playback starts to suffer? If you dual booting with xp (or linux) try the same thing and watch the difference… And then go check Android or Apple’s IOS and marvel what these OS’s can do without a hitch with their tiny cpu’s (running on batteries please). Windows, Mac even Linux in its desktop form are dinosaurs. The faster they eclipse the better for all of us.